Five years ago, 500 Venezuelan Bolivars would buy you a dinner for two with wine at the best restaurant in the country. By the end of 2016, 500 Bolivars would buy you one cup of cafe con leche. Today, 500 Bolivars buys you nothing. - A 20 Bolivar note is roughly worth $0.0001, so you need 100 of them to equal one US penny. Prices are rising >80% per month, doubling prices about every 34 days. Socialism in Venezuela has stopped money from being something you want to have, and turned it into something to avoid having. 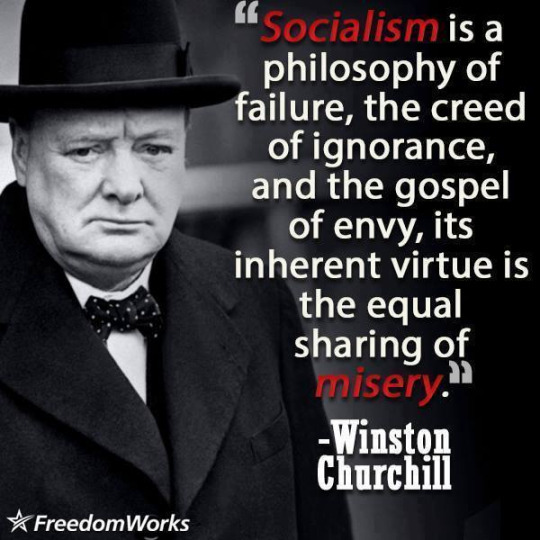 Churchill was right, and Chavez was wrong. - Socialists are always wrong, but that never stops them.